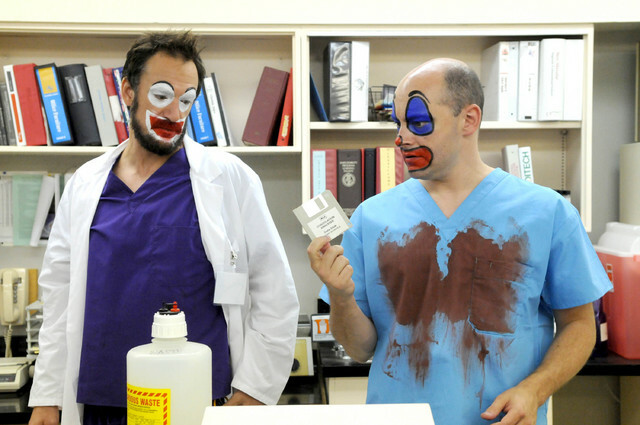 The show is created by Rob Corddry – who most of you know from Comedy Central – and the storyline centers on the staff of Childrens Hospital, a hospital for children, named after a doctor named Arthur Childrens. The hospital sporadically (and usually without reason) is mentioned as being located within Brazil, despite making virtually no effort to conceal that the series is shot in Los Angeles, California. Corddry is part of an amazing ensemble cast portraying the doctors, which includes Rob Hubel, Ken Marino (Party Down), Megan Mullaly (also from Party Down), Malin Akerman, Henry Winkler and many other commedians you probably know such as Michael Cera who does the intercom annoucements in the hospital. The show is now in it’s third season. I personally think the 3rd season has been the funniest so i would jump directly there if you can. Enjoy my friends. It’s aways such a treat to find such awesomeness.